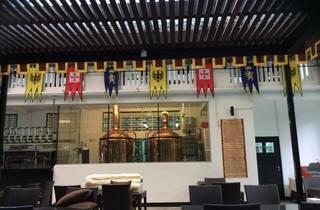 Singapore’s newest microbrewery in a bungalow isn’t related to the annual F1 Pit Building sloshfest. 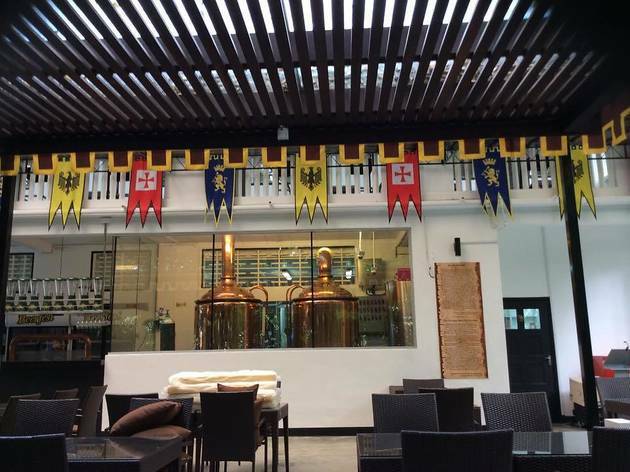 After successfully tapping their multi-hued fizzies in Pattaya and in Chinese border-flanking Khabarovsk in eastern Russia, Beerfest’s Rochester Park outpost houses an impressive array of fermentation tanks that lay in wait to dispense its Light Queen Lager, Golden Wheat, Amber Sun and Men in Stout. The Queen’s a refreshing, slightly sweeter, malty Tiger-like brew with a good kick of hoppy spice, while the Stout packs a good mouthful of roast in a sultry glass. Half pints pour at an incredibly cheap $6.50 a glass, and pints at $9, and you get a blast from the 90s past with its Vengaboys-like Eurodance piped stridently into the sprawling garden seating here.